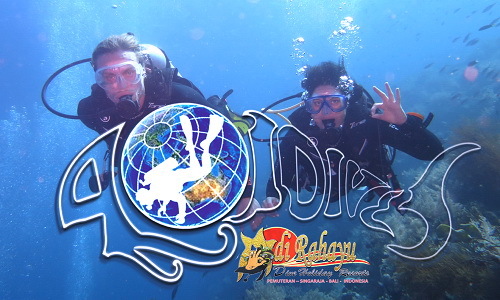 2 Dives at Menjangan Island by speed boat departure at 08:30 am,directly from the dive base beach. Plus one Night Dive (muck dive) at Pemuteran Lagoon start at 18:30 pm. Complimentary Voucher 30 minutes back massage at Drupadi Spa. Dive at Mnjangan Island may changes into secret bay, Puri Jati or Tulamben Liberty wreck. charge Idr 200.000 per person (National Park ticket). Idr 120.000 for a complette own gears. Dive cylinder alu 12 liters with 120 bar Normal air. National Park Entrance ticket Idr 200.000 per day per person. National Park Activity ticket Idr 25.000 per day per person. Ground handling, Guide fee and Lunch box. Water and Dive towel prepared in the boat. a day before the activity or contact us from your room extention 401. Participants must be at lease an open water diver certification.